Our Bay Area child and adolescent therapists are specifically trained to work with children and adolescents, ages three years to seventeen years, utilizing a combination of attachment-based play therapy, art therapy, mindfulness, somatic, behavioral and talk therapies. We value the young person's autonomy and agency. 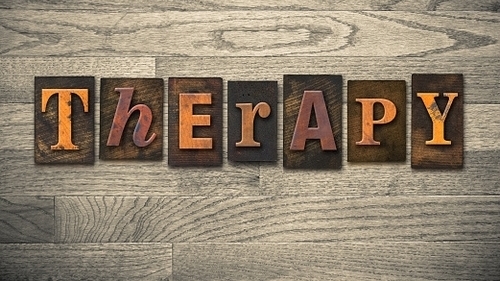 Therapy provides support to the parents to learn more effective parenting strategies and tools, including ways to communicate with and support the health and growth of their child/teen. Let us begin by saying that as attachment-based psychologists and psychotherapists we are deeply passionate about assisting people in developing healthy attachment to have fulfilling relationships (& therefore a fulfilling life). Here at North Berkeley Couples Therapy Center, we are especially excited about getting an early start with young people. We simply love kids & deeply enjoy working with them! We know you love your child and are probably reading this after a very painful, distressing and perhaps frightening time of watching your teen or young child struggle. You do not have to do this alone. We can help you as well as your teen or child. Unfortunately a sad fact for youngsters today is that with technological advances, social media and increased pressures beginning at an early age, children and adolescents today must face challenges that can be profoundly stressful for both them and their parents. Sadder still, is the reality that so many children are injured through abuse, bullying and other trauma. The good news is that kids and teens are resilient and beginning therapy now can make a lifetime difference. These difficulties produce tremendous stress that can seriously impact the healthy development of a young person. Treated early, a child or teen can enter adulthood prepared for a stable and healthy sense of self and cultivate successful relationships. Left untreated, many children dealing with intense stressors are left to battle life-long psychological issues such as addiction, anxiety and depression, eating disorders, interpersonal difficulties and lowered self-esteem. I believe it’s incredibly important and powerful to give children space to be themselves, to create a strong rapport, and empower them to make choices that will help them lead a more balanced emotional life. Knowledge about oneself in the world as a unique emotional being is a powerful tool, especially when learned young. In my practice with children, I use a combination of Psychodynamic Psychotherapy, Attachment Play Therapy, and Psycho-education to achieve these goals. A child's difficulties may provide a glimpse into the dynamics that occur in her/his family system or social environment. Child & Adolescent Therapy does not just treat the child/teen, but works to support the family as a whole. The young person's struggles may be rooted in larger systemic issues (or trauma) despite manifesting through individual changes in personality, withdrawal, tantrums, phobias, acting out behaviorally, or changes in academic and social engagement. Therapy provides support to the parents to learn more effective parenting strategies and tools, including ways to communicate with and support the health and growth of their child/teen. Often additional collateral sessions are held with the other family members to provide holistic support and to allow the therapist to gain a deeper understanding of what is happening for the child. With the caring support and insight of a sensitive, highly-skilled attachment-based therapist, your child or teen can succeed in their developmental process. As an attachment oriented counselors, we support couples, individuals, parents, children and teens to cultivate secure attachment bonds and develop healthy, sustainable, loving relationships to Self and others. Our child and adolescent therapists are specifically trained to work with children and adolescents, ages three years to seventeen years, utilizing a combination of attachment-based play therapy, art therapy, mindfulness, somatic, behavioral and talk therapies. We value the young person's autonomy and agency, while supporting their independent development as well as the role the hold in their family and social systems. Respect and collaboration is just as much a part of child and teen therapy as it is in working with adults. We will work with both parent and child to assess the global functioning of the child or teen by considering mood, personality, intellectual and social functioning and behavioral needs in order to provide successful treatment. We may suggest working in collaboration with other professionals such as psychiatrists, behavioral aids or mentors.